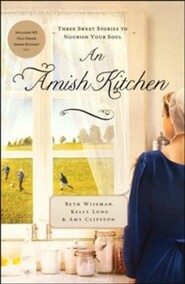 The Amish Kitchen is the Heart of the Home  and the Ideal Setting for Stories of Love and Hope. Fern has a green thumb for growing healing herbs, but longs for love to bloom in her life. Then the next-door neighbors oldest son, Abram, comes running into Ferns kitchen seeking help for his little sister. 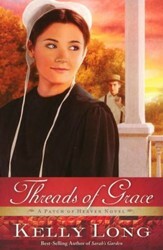 The crisis soon leads to a promise of romanceuntil mistrust threatens to end the growing attraction. Nearby, Hannah runs her parents bed and breakfast, Paradise Innbut her life feels nothing like Paradise. 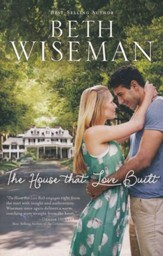 She longs for a man of integrity to enter her life, but never expected him to knock on the front door looking for a room. Will she be able trust Stephen with her future once she discovers his mysterious past? When a storm blows a tree onto Eves farmhouse, she has little choice but to temporarily move her family into her parents home. Outside of cooking together in the kitchen, Eve and her mother cant agree on anything. But this may be just the recipe for hope in healing old wounds. 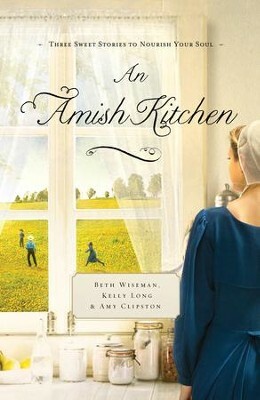 Three Amish storieseach celebrating love, family, and faithall taking place in a tight-knit community where the kitchen truly is the heart of the home. 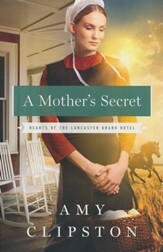 Kelly Long is a nationally bestselling author of Amish Fiction who enjoys studying the Appalachian Amish in particular. 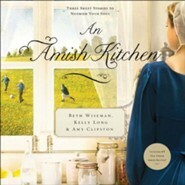 Kelly was raised in North Central Pennsylvania, and her dad's friendship with the Amish helped shape Kelly's earliest memories of the culture. Today, she lives in Hershey, Pennsylvania, with her three children and is a great proponent of autism spectrum and mental health needs. Visit Kelly on Facebook: Fans-of-Kelly-Long and Twitter: @KellyLongAmish. 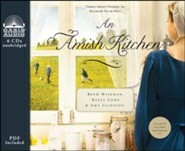 I'm the author/artist and I want to review An Amish Kitchen - eBook.